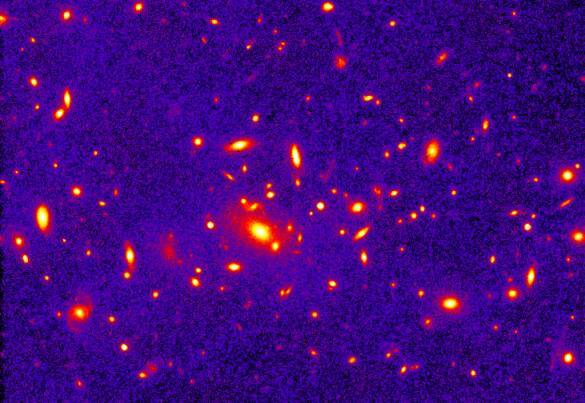 Explanation: Conventional theories suggest that this cluster of galaxies should not exist. 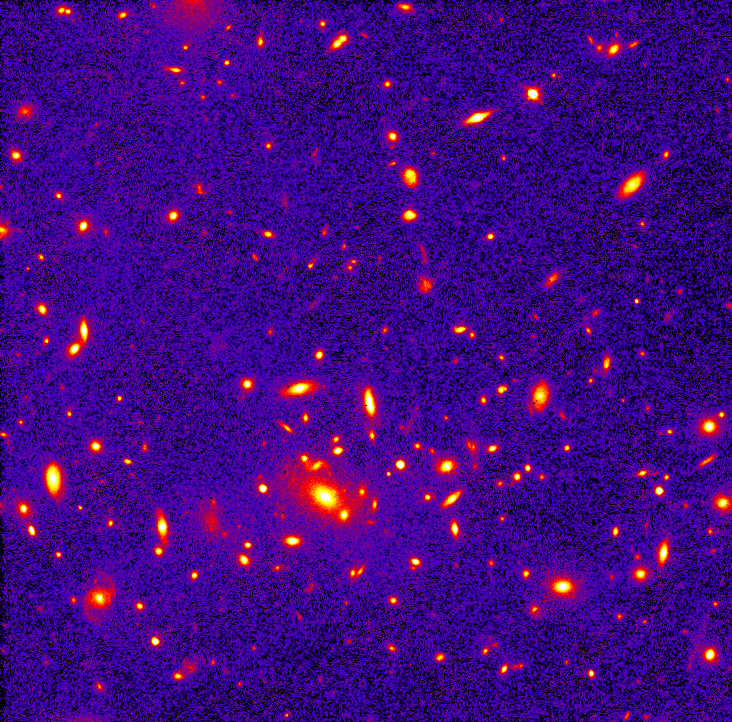 Each fuzzy spot in this false-color Hubble Space Telescope image of the central regions of a newly discovered galaxy cluster is a galaxy similar in mass to our own Milky Way. The cluster is one of the most massive known, contains thousands of galaxies, and is a few million light-years across. But it is also 8 billion light-years distant and so formed when the Universe was only about half its present age. Ironically, if the total mass of the Universe is large, modern theories predict that clusters of galaxies as massive as nearby clusters should not have existed at such early times and great distances. One explanation for this cluster's presence is that the Universe we live in is not massive enough to eventually halt its expansion - contradicting some current standard views of cosmology.